'Modi came to power talking tough about Pakistan. But in office, he has pursued a Pakistan policy that has lost both direction and purpose,' argues Brahma Chellaney. Despite Pakistan's unending aggression against India ever since it was created as the world's first Islamic republic in the post-colonial era, successive Indian governments have failed to evolve a consistent, long-term, policy toward that country. In stark contrast, Pakistan has maintained the same India policy since its establishment -- to spotlight Kashmir as the unfinished business of Partition and to undermine Indian security by whatever means, fair or foul. Prime Minister Narendra Modi came to power talking tough about Pakistan. But in office, he has pursued a Pakistan policy that has lost both direction and purpose. Worse still, Modi has failed to learn the lessons from the Pakistan blunders of his predecessors. It has taken less than three months for Modi's Pakistan policy to unravel, thanks to the boomerang effect generated by his Lahore visit on Christmas Day. By paying a surprise visit with little preparation to a State whose hostility toward India is inborn, Modi ingenuously thought he was making history. Yet what the trip yielded is a continuing series of terrorist attacks of Pakistani origin on Indian targets -- from Pathankot and Mazar-i-Sharif to Pampore and Jalalabad. In fact, after Modi's much-publicised bear hug of his Pakistani counterpart, Nawaz Sharif, in Lahore, it took barely a week for the terror masters controlling Pakistan to thank him for his visit by carrying out terror attacks through surrogate Jaish-e-Mohammad on India's Pathankot air base and on the Indian consulate in Mazar-i-Sharif, Afghanistan. The Pathankot attack was the military equivalent of the 2008 Mumbai strikes on civilian targets by terrorists from Pakistan. After New Delhi began pressing the Sharif government for action against Azhar Masood and other JeM terrorist leaders for carrying out the New Year's terror attacks at Pathankot and Mazar-i-Sharif, Pakistan used another terrorist proxy -- the Lashkar-e-Tayiba group -- to carry out an attack in Pampore, India. Afghan intelligence and former Afghan president Hamid Karzai have also linked the Jalalabad attack on the Indian consulate to Pakistan. While at Stanford last month, we had a long conversation with former Secretary of Defense William Perry about the nuclear dangers facing the world. We were struck by his provocative and frightening outlook: that the possibility of a nuclear catastrophe today is greater than it was during the Cold War. North Korea’s recent bluster only underlines the dangers. Perry knows whereof he speaks, since he has devoted most of his career to preventing nuclear conflict. (Full disclosure: One of us was his student and research assistant at Stanford.) His recent book, My Journey at the Nuclear Brink, explains why he focused so much on these issues, and why he concluded that nuclear weapons endanger U.S. national security far more than they preserve it. After our conversation with Perry, we attended a lecture that he gave on today’s nuclear dangers. It is well worth watching in its entirety, for he offered a nuanced analysis of the nuclear policies and capabilities of Russia, China, North Korea, Iran, and Pakistan. After this sweeping tour of the world, he concluded that there are three main nuclear dangers today that, taken together, make the current world even more dangerous than during most of the Cold War. He pointed out that the Doomsday Clock is currently set at three minutes to midnight — the closest to midnight it has been since the height of the Cold War in 1984, and only one minute ahead of its lowest setting ever, in 1953. The first danger is the possibility of a nuclear war with Russia, either by accident or miscalculation. Perry argued that today’s situation is “comparable to the dark days of the Cold War,” not only because Russia is modernizing its nuclear arsenal but also because Russian President Vladimir Putin might consider using nuclear weapons if the survival of his regime is at stake. 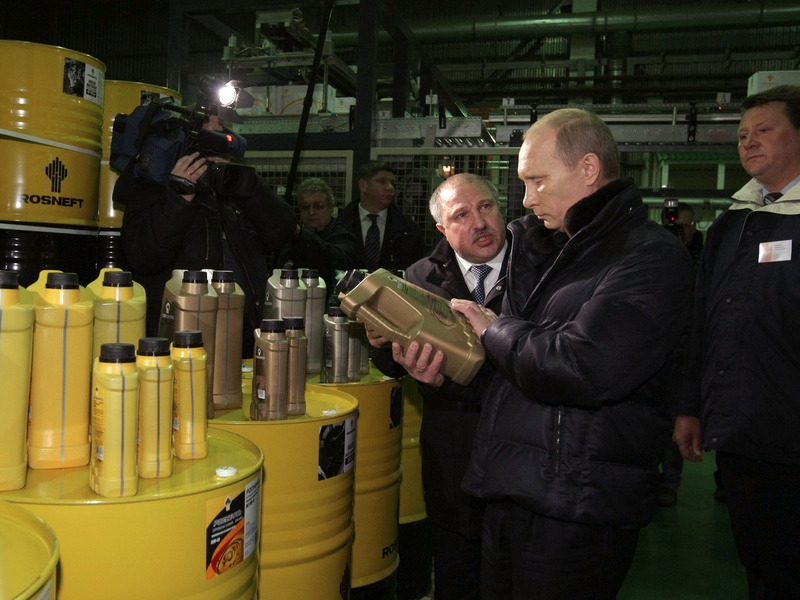 Putin faces many domestic challenges, including the drastic decline of oil prices that is forcing the state to rapidly consume its capital reserves, and aggressive nationalist policies are one way to divert domestic attention from those problems. Russia is not deliberately seeking a military conflict with the United States or NATO, Perry said, but the key danger is that Putin “will take actions that will cause him to blunder into a conflict.” He argued that over time, Russia would inevitably lose any such conventional conflict, which might lead it to use its tactical nuclear weapons (which it refers to surreally as a “de-escalatory strike”). And if that were to happen, it would be impossible to predict or control the resulting escalation. 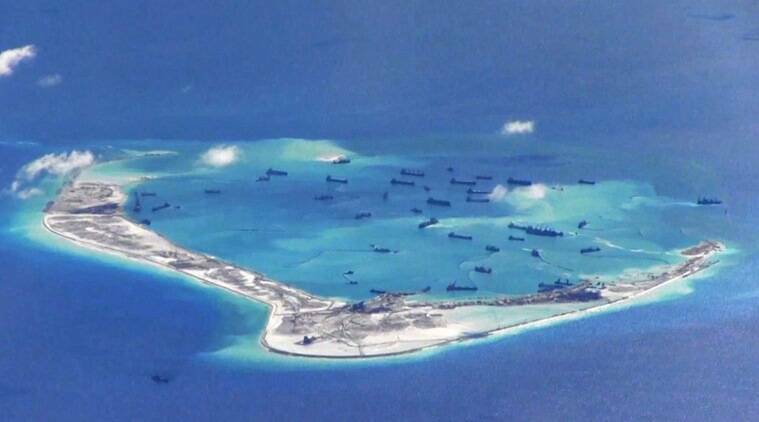 On the South China Sea, Delhi speaks less in public while Washington can’t stop talking. There’s no doubt that Washington considers the joint patrols an important part of the effort to secure freedom of navigation in East Asia’s waters. India has long irritated its international interlocutors by its penchant for “public diplomacy”. What we mean by public diplomacy here is somewhat different from the current usage of the term — about informing and influencing public opinion at home and abroad. It used to be called “propaganda” in the old days. Our reference here is to the style of public argumentation that marked India’s engagement with the world over the decades. New Delhi’s mandarins privileged public posturing over tough but outcome-oriented negotiating strategies. In the last few months though, Delhi and Washington have begun to trade places. Delhi now speaks a lot less in public and Washington can’t stop talking. If Indian media complains that official Delhi doesn’t keep them in the loop, Washington is trying to conduct negotiations with India through the Indian media. More Mollycoddling Latest sale of F-16s by the US to Pakistan carries a message for India. US Ambassador Richard Verma made a spirited defence of the sale, calling it a “legacy announcement”. 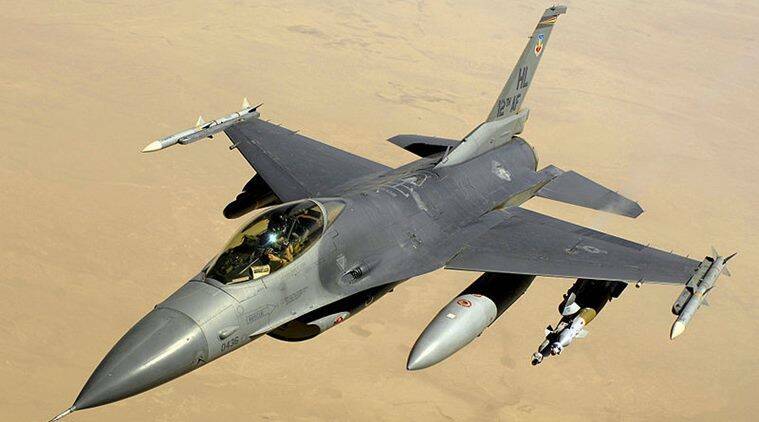 The Obama administration is stubbornly going ahead with the sale of eight F-16s to Pakistan and has notified the US Congress under its Arms Export Control Act. It has done so disregarding India’s strong protestations and even opposition from some US legislators. Secretary of State John Kerry is leading the pack attempting to silence critics, stating that it’s “critical” for Pakistan to counter terrorists. In New Delhi, US Ambassador Richard Verma made a spirited defence of the sale, calling it a “legacy announcement”. The most gracious view is of an ambassadorial effort to obfuscate and cloud what the sale forebodes. It was at best an attempt to explain the sale away as an old decision. The ambassador’s statement would have been more credulous if he had instead admitted the sale was part of the continuing US legacy of arming Pakistan. But he hastened to add it would exercise restraint on future supplies. Never mind that US arms supplies to Pakistan gained in strength under the Obama administration, with the Kerry-Lugar Act serving as the umbrella legislation. To many US watchers, the intermittent announcements of arms supplies to Pakistan should have come as no surprise. 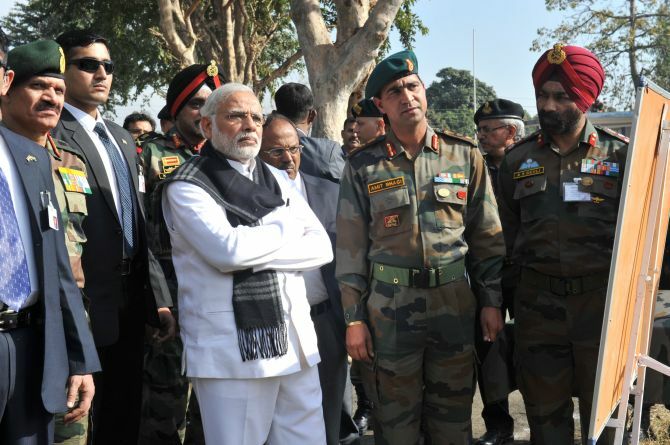 Yet, the timing was startling, as it came only weeks after the terrorist attack at Pathankot. This alone should have dissuaded the Obama administration to, at least, defer the announcement of the sale. 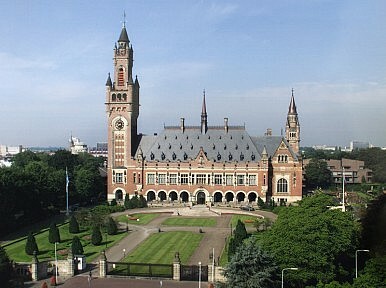 On Monday, lawyers representing the Marshall Islands began legal proceedings at the International Court of Justice (ICJ) in The Hague, Netherlands, against India, Pakistan, and the United Kingdom. The tiny Pacific Island state is seeking to bring the three countries into disarmament negotiations over their nuclear weapons program. Monday’s hearing begins the first phase of the case, in which the ICJ will decide if it has the jurisdiction to accept the Marshall Islands’ cases against the three countries. Three and a half years ago, the International Energy Agency (IEA) triggered headlines around the world by predicting that the United States would overtake Saudi Arabia to become the world's leading oil producer by 2020 and, together with Canada, would become a net exporter of oil around 2030. Overnight, a new strain of American energy triumphalism appeared and experts began speaking of "Saudi America," a reinvigorated U.S.A. animated by copious streams of oil and natural gas, much of it obtained through the then-pioneering technique of hydro-fracking. "This is a real energy revolution," the Wall Street Journal crowed in an editorial heralding the IEA pronouncement. The most immediate effect of this "revolution," its boosters proclaimed, would be to banish any likelihood of a "peak" in world oil production and subsequent petroleum scarcity. The peak oil theorists, who flourished in the early years of the twenty-first century, warned that global output was likely to reach its maximum attainable level in the near future, possibly as early as 2012, and then commence an irreversible decline as the major reserves of energy were tapped dry. The proponents of this outlook did not, however, foresee the coming of hydro-fracking and the exploitation of previously inaccessible reserves of oil and natural gas in underground shale formations. Understandably enough, the stunning increase in North American oil production in the past few years simply wasn't on their radar. According to the Energy Information Administration (EIA) of the Department of Energy, U.S. crude output rose from 5.5 million barrels per day in 2010 to 9.2 million barrels as 2016 began, an increase of 3.7 million barrels per day in what can only be considered the relative blink of an eye. Similarly unexpected was the success of Canadian producers in extracting oil (in the form of bitumen, a semi-solid petroleum substance) from the tar sands of Alberta. 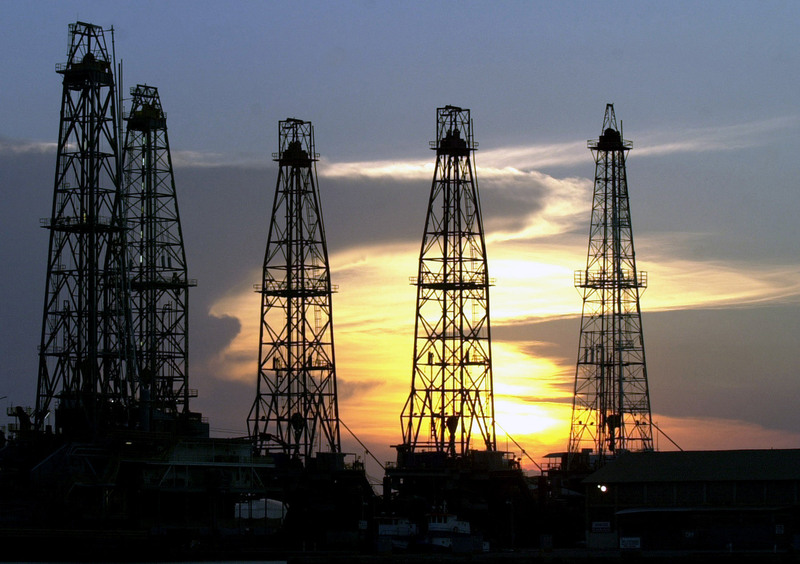 Today, the notion that oil is becoming scarce has all but vanished, and so have the benefits of a new era of petroleum plenty being touted, until recently, by energy analysts and oil company executives. Chanda Kochhar, managing director and CEO of India’s largest private bank, ICICI, sees promising changes in Indian society toward supporting women’s efforts to be more economically and socially independent. At her company, she is pushing to recognize unconscious bias that can hinder women’s progress, being more inclusive in decision making, and providing flexible work options. In this interview with McKinsey’s Anu Madgavkar, Kochhar explains why she believes encouraging these steps is good not only for the company but also for the economy and society at large. An edited transcript of their conversation follows. I’m very optimistic about the future of women in India. First, because I think the approach of the society itself there is changing. Not just in urban India or organized India; even if I look at rural India, I see the kind of progress that, say, the self-help movement has made, which has made women independent and self-confident both economically and even thought process–wise. The whole societal approach is changing. Second, the approach of the organizations, of course, is changing. The third is that, clearly, we have girls and women in India who are very smart, very capable, and very intelligent. Gender parity is no longer just a nice-to-have part of your organization or your business. I think there’s a huge business and economic case for having as many women in the organization as men—lots of reasons for it. One, of course, is that in countries like India, women make up more than 48 percent of the population. So, in a way, almost half the talent pool is women, and how can a nation or an organization grow and prosper if you ignore 50 percent of the talent pool in the country? Washington seems to be hitting numerous walls these days when it comes to its foreign policy. How do you preserve European institutions when each member will logically put its interests ahead of the bloc in fighting migrant waves? How do you stem a migrant crisis when the dissolution of Sykes-Picot boundaries creates massive power vacuums for militants to fill? How do you enforce a lasting cease-fire in Syria when Russia is still holding out for concessions from the West on sanctions and Ukraine? How do you get Kiev to agree to recognize elections in eastern Ukraine when the government can barely stand on its own? It may not be a coincidence that this whirlpool of seemingly zero-sum conflicts is centered on Eurasia, a part of the world where geography tends to do a poor job of keeping competitors from clashing in terrifically violent ways. The picture looks remarkably rosier, however, when Washington looks to its south. Even if the United States can't take much of the credit, Latin America seems to be sorting itself out quite nicely. Now on the verge of returning to international bond markets, Argentina is biting the bullet of painful economic restructuring. Brazil is willing to detain even the most grandfatherly and charismatic populist of his time in the name of fighting corruption. Colombia is in the final stages of making peace with the Revolutionary Armed Forces of Colombia after more than 50 years of armed conflict. And while Caracas is burning, pragmatic Cuba has excused itself from its Bolivarian alliance duties to make nice with the United States. From Caracas to La Paz to Quito to Managua, the pink tide of left-wing populism is in tatters. We can see why U.S. President Barack Obama chose this geopolitical backdrop for his next trip abroad. Washington finally has room to maneuver again in a region where the raw economics, as opposed to the entrails of the CIA, has done most of the dirty work in phasing out all those problematic populists who long vexed U.S. policymakers and investors alike. By supporting anti-corruption bodies, an increasingly popular foreign policy tool in Washington's kit, the United States can more subtly influence the politics of the region over time while working to strengthen institutions. In September 2000, world leaders gathered at the United Nations to sign the Millennium Declaration, which outlined goals for international development ranging from universal primary education to eradicating extreme poverty. The target date for reaching those goals was 2015. 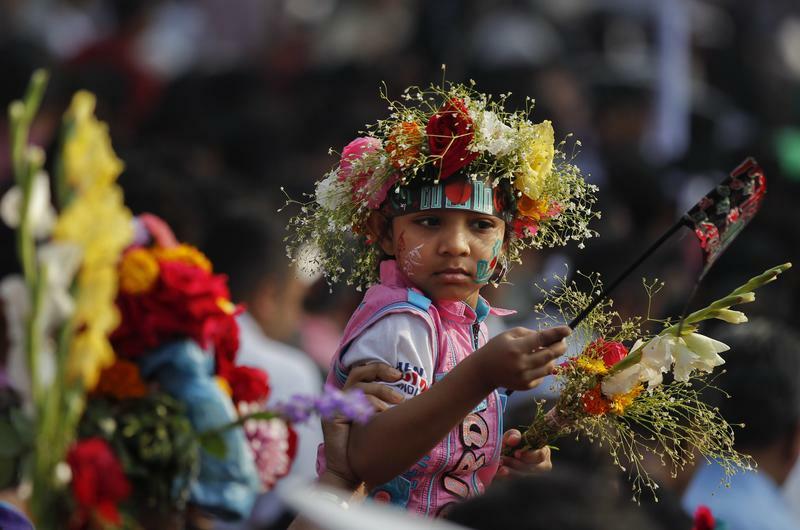 Although many countries made progress, Bangladesh succeeded beyond all expectations: more children are going to school than ever before, more mothers have access to the healthcare they need, and fewer suffer in extreme poverty. Education has been at the heart of this success. Under Prime Minister Sheikh Hasina, Bangladesh invested heavily in education at all levels. Primary education is compulsory and free for all. Girls receive stipends and scholarships for schooling up until twelfth grade. Textbooks are free. This investment in education has paid dividends. Net enrollment in primary schools is an astounding 98.7 percent. Bangladesh has also achieved complete gender parity in primary education with 99.4 percent of all girls attending school. Eighty-one percent of the students who enroll in grade one now reach grade five, and literacy rates have soared. Women in Bangladesh are also benefitting from the country's commitment to improve maternal health. The Millennium Declaration set as its goal a 3 percent decline in maternal mortality per year. Bangladesh exceeded that goal, reporting an average rate of decline of 3.3 percent yearly. That adds up to a 40 percent decline in maternal mortality since 2001. Death rates for children have also been reduced markedly thanks to successful immunization programs, control of diarrheal diseases, and Vitamin A supplementation. The incidences of malaria and HIV have also dropped noticeably. Some of the Millennium Development Goals present unique challenges for Bangladesh. Eradicating poverty in a country as populous and with as high a population density as Bangladesh is a complex task. Yet Bangladesh has made real progress. It has sustained a GDP growth rate in excess of 6 percent in recent years, which has dramatically reduced poverty. The robust growth has been accompanied by corresponding improvements in several social indicators such as increased life expectancy and lower birth rates. This article first appeared in Caixin. BEIJING - China has always been clear about its "firm opposition" toNorth Korea's development of a nuclear weapons program. But as the international community's negotiation over the issue has stalled, Pyongyang continues to develop its nuclear technology. It is a provocation that leaves China little room for diplomatic maneuver. China has carried out a notable strategic readjustment on this matter in recent days, led by Chinese Foreign Minister Wang Yi citing three non-negotiables vis-à-vis North Korea, and working with the Americans to push through a new United Nations Security Council resolution on sanctions. The unanimous approval by the UN Security Council on March 2 included unprecedented sanctions in the fields of finance, trade and technology to punish North Korea for its recent nuclear testing. The UN resolution also stresses that if Pyongyang conducts any more atomic tests or ballistic missile launches, it will "take further significant measures." This Sino-American approach came after years of Beijing and Washington failing to agree on how North Korea should be sanctioned. The result reflects how the interests the two countries share on this issue are critical to both. As U.S. Undersecretary of State for Political Affairs Wendy R. Sherman told this newspaper in January 2015, if China makes it clear that North Korea's abandoning its nuclear program is its top priority, this will be of great help in solving the problem. It ensures accountability, loyalty and control of the Party over the military. While this may be good news for the Communist Party of China (CPC), the flip side, which doesn’t find any mention in the official media, is the fallout of this ‘transformational’ change. Firstly, these changes are to be effective by 2020. Five years is a long time in a rapidly changing China. The first major overhaul in the Central Military Commission (CMC) is due in 2017 when as many as half the present generals of the CMC retire. With over two scores of senior leaders and officials facing charges of corruption, the choice of the new generation of leadership will be a major challenge. Undoubtedly, loyalty to Xi will be the sole criterion – this over seniority and experience. The cascading effect on succession in the newly formed battle zones and corps has the potential to cause turmoil. After all, membership of the Central Committee of the CPC is not only coveted but a clear indication of proximity to the ruling elite in China. As many as 67 members of the Central Committee are from the PLA and of these 41 are full members and 26 alternate members. All of them will be re-elected to the 19th Party Congress in 2017. Secondly, Military Theatre Command (MTC) Commanders (erstwhile Military Area Command Commanders) hold the military region (MR) level grade. With the creation of these joint MTCs and the dissolution of the four PLA departments, these commanders are likely to be upgraded to the CMC grade and be part of the CMC. This would give them a status equal to the chiefs of the five services - PLA Navy (PLAN), PLA Air Force (PLAAF), PLA Army (PLAA), PLA Strategic Support Force (PLASSF) and PLA Rocket Force (PLARF) - in a ‘reformed’ CMC in 2017. All of these would be Xi’s men and they will see him through till the end of his tenure in 2022. In other words, the total control over the PLA by the CPC is foregone. Recall the unease that preceded the anointment of Xi prior to the 18th Party Congress when there was a call for a ‘Nationalist’ army which could break from the shackles of the Party and have a national character. That glimmer or spark has since been extinguished for good. China should secure its rise by doing nothing more to anger the world. China stands forlorn and at a critical crossroads today. It is not the time for China to provoke nationalistic wars over seas. Rather than try to make a grab for the surrounding seas that can only fail, China should simmer down and secure its rise by doing nothing more to anger the world. Nothing is got from angering the world. From his grave, Deng Xiaoping should be saying the same thing. Great Power history also teaches you when to call it quits. Great Powers have overstretched themselves one time or another in their separate and particular histories. To prevent overstretching, they have employed several means in the past, one of them being balance-of-power strategies. After the end of the Napoleonic Wars, Britain employed balance-of-power politics to control the fractional states of Europe whilst preserving and expanding the Empire. Gaining from experience and successes, it became the foremost naval power of the time while keeping a proportionally small expeditionary army. It beat overstretch in that manner. The two world wars proved too much even for Britain. In both, it applied for United States’ intervention. The US intervention in the Second World War was more decisive. The moment Winston Churchill beseeched America for help, he ceded Britain’s Great Power leadership to the United States. Britain was overstretched. Without being adept at balance-of-power politics like Britain, the Soviet Union got its comeuppance far earlier for a Great Power. Its intervention in Afghanistan was more than its economy could stand. It went down. The United States has survived as a Great Power for a more expansive set of reasons, several of which are irrelevant for this piece. China's Great Military Spending Slowdown: Big Deal or Big Nothing? Over the next few days and weeks, Asia hands here in Washington and around the world will spill no-doubt countless terabytes of digital ink over the somewhat surprising news that the People’s Republic of China will only grow its military budget by single digits this year—the first time since 2010. Indeed, China’s military spending increases have been a big concern globally for the last five to ten years with the reason being quite obvious: Beijing has been on a crash course to develop military capabilities that are on par with its newly arrived status as the world’s second largest economy—tipping the military scales more and more in its favor in East Asia. Analysis of overall spending levels gives researchers good indicators concerning Chinese military capabilities, intentions and future directions. But why should we care if China’s military spending is not growing at the same super levels as years past? Does it matter? Below, I offer four explanations which, together or individually, offer plausible reasons why China has decided to slow spending—demonstrating clearly why such a downtick does indeed matter. First, the Chinese economy is slowing—and quite possibly much more than what Beijing’s bean counters are willing to admit to. Stock markets in China have taken a beating. Beijing is spending billions of dollars to keep its currency stable. At the same time, China is trying to restructure its economy to focus on domestic consumption and service industries while developing global brands as opposed to simply being the world’s factory—something it won’t be able to do thanks to a smaller and smaller pool of workers who are growing older and demanding higher wages. You can’t attempt a large-scale restructuring of a massive, ten-trillion-dollar economy while building more and more military hardware—history shows that simply doesn’t end very well. New Delhi needs to be clear-eyed about Beijing's ambitions. There are worse things than fleeing the bleak New England midwinter for warmer climes—such as Jaipur, India’s famed “Pink City.” So cold was it when I departed Providence last month that the nozzle on my plane’s fuel hose froze shut, grounding the plane until the crew could unfreeze it. Frolicking around in shirtsleeves at a Mughal dynasty fort in Rajasthan was a welcome relief from frostbite. The occasion for the trip, though, was three days of “quad-plus dialogue” about sundry topics important to Indian Ocean powers. The “quad,” or standing membership for these unofficial “track II” gatherings, refers to India, Australia, Japan and the United States. Sri Lanka is the “plus,” or rotating participant, for this year. Maritime governance in the Pacific and Indian oceans was the subject of my panel. China came up repeatedly during the gathering, which should shock no one. After all, China—a great power on the make—constitutes a menace to freedom of the seas in East Asia. Communist Party apparatchiks and ordinary Chinese alike seem to view water and sky as territory to be occupied, controlled and ruled through domestic law. And the People’s Liberation Army (PLA), predictably, ismilitarizing the South China Sea with verve, protestations from top leaders notwithstanding. How to manage a great-power challenge to nautical freedom is a question of a higher order altogether than how to police the Indian Ocean. Think about it. Ne’er-do-wells like corsairs, weapons traffickers and seagoing terrorists are the main threats to free navigation in maritime South Asia. Everyone, including Beijing, can agree to work together to combat brigandage in the Gulf of Aden or Bay of Bengal, expanses largely free of great-power entanglements. China plays reasonably well with others to the west of Malacca. To date, anyway. During the Q and A following our panel, I got into a cordial shouting match with a retired Indian admiral and general about how long the present era of good feelings would endure. (We almost had to resort to pistols at daybreak.) The debate boils down to this: When will the PLA Navy be strong enough to overpower the Indian Navy in the Indian Ocean, an expanse that New Delhi considers an Indian preserve, if Beijing gives the word? The good news: we all agreed that doom is not nigh. While occasionally irksome, the burgeoning PLA Navy presence in regional waters poses little threat for now. But we arrived at that happy conclusion by different routes, and drew different implications from it. The Indian delegates cited shortfalls in Chinese “capability,” opining that it will take the PLA Navy “at least fifteen years” to station a standing, battle-worthy naval squadron in the Indian Ocean. Such a sanguine view rules out a Chinese threat; it lulls Indians. The government of India last month showed the world that it cannot maintain control over a minor law and order event just kilometres away from its headquarters on Raisina hill in New Delhi. Just how it proposes to fulfil its bigger plans for overhauling the country’s infrastructure and launching a manufacturing revolution is a bit of a mystery. All this is more troubling when you look in your neighbourhood and see China purposefully guiding its economy to a soft landing and laying the foundations for its next advance – to emerge as a rich country by 2050 when it expects its per capita GDP to be of the order of $60,000. This is no pie in the sky because its building blocks are being placed before our eyes, even though the full fruit of the projects will unfold over the coming decades. The best symbol of this was the arrival of the first “Silk Road” train from Yiwu, in eastern China, to Tehran, through Kazakhstan and Turkmenistan, taking 14 days less than it would have taken the same cargo to go from Shanghai to Bandar Abbas. These are early days for the ambitious Silk Road scheme, which has the twin goals of connecting China to the high-end markets of Europe, as well as make it the geopolitical anchor of Eurasia. A second indicator is the complete overhaul of two hoary programmes that have provided sinew to China’s emergence as a technology and manufacturing power. The new national research & development plan unveiled on February 16 will streamline the many state-funded science and technology programmes that are related to agriculture, energy, environment, health and various facets of industry and innovation. Many have a key national security component as well. And as of now the plan covers 59 specific areas which have been based on the older Projects 863 and 973. “863” is the numeric rendition of the year (1986) and the month (March) of the launch of the State High-Tech Development Programme. This is when several top weapons scientists wrote to supreme leader Deng Xiaoping calling for special focus on a range of civilian technologies to boost China’s growth. The technologies chosen were in biotech, space, information, lasers, automation, new materials, super computing, telecom, marine and, since 2001, clean energy. Three months ago, we published a detailed analysis of the Islamic State’s military strength in Syria and Iraq. Since the publication of that report, Iraqi forces drove IS fighters out of Ramadi, Syrian Democratic Forces (SDF) led by the Kurdish People’s Protection Units (YPG) have advanced about 40 miles from al-Hasakah to al-Shaddadi and Russian air support hasallowed Bashar al-Assad to consolidate his position in Aleppo province. This flurry of tactical activity is not immaterial, but also does not change our overall assessment. The Islamic State continues to dominate its core area between Raqqa and Deir el-Zour and to demonstrate flexibility on the battlefield. The SDF and the U.S. have portrayed this as a major victory because it cuts IS off from its supply line between Mosul and Raqqa, but there are still wide swaths of desert that the SDF cannot control. The most notable element of this offensive is not the blocking of the supply line, or whatever small oil and gas facilities IS lost control of as a result, but rather how fast the battle was over. That could indicate an overwhelming defeat, and the U.S. tried to explain this by extolling the improved coordination between U.S. advisors and SDF forces. But based on previous IS behavior, it is far more likely that IS retreated, knowing that al-Shaddadi is not a critical strategic point on the battlefield. IS does not want to lose territory. But it also does not want to expend fighters in holding territory that isn’t critical to its aims of protecting its proclaimed caliphate. U.S. and SDF spokesmen have said that over 250 IS fighters died in the al-Shaddadi offensive, and various local media reports put the total number of IS forces in the town at 2,000. It is impossible to verify such claims, however, previous U.S. estimates of IS strength have proven to underestimate IS forces. The closest analogue to what happened in al-Shaddadi is the “battle” for Ramadi, where Iraqi forces outnumbered IS 10 to one and still could not overwhelm IS, only managing to retake the city because IS pulled out. Why Is America #Losing the Twitter War with ISIS? On February 5, 2016, Twitter announced it would increase the size of its content-review teams and deploy new software to help identify Islamic State supporters even before they break the terms of service by posting pro-Islamic State (IS) material. While Twitter’s increased efforts are necessary, they are not sufficient to address the U.S. government’s poor performance on the Twitter battlefield. As one expert observed in a July 2015 report, “So far, most of our attempts to meaningfully mitigate [the Islamic State’s] ability to globally engage have been left floundering.” The State Department’s recent organizational overhaulacknowledges frustration with existing counter-narrative efforts, particularly over social media. Notably, the Obama Administration ordered a similar overhaul a year ago, in response to the Islamic State’s resilient social media presence. Bureaucracies, particularly large government ones, are not known for their agility. What can the U.S. learn from the Islamic State’s narrative on Twitter during the first few weeks of 2016? An analysis of sixty-five Twitter posts from January 1-16, 2016, all allegedly originating from within Syria, reveals four broad themes that deserve close attention. Conversely, the Islamic State’s portrayal of its religiosity and its fight against the enemies of Syrian Sunnis are more difficult to directly undermine on social media. Perceptions of U.S. irreligiosity, its Christian heritage and a thawing relationship with Iran problematize American attempts to address Sunni religious expression using Twitter. However, understanding these latter themes is crucial to other U.S. efforts, such as addressing deep Sunni grievances within the framework of a future political transition and in strengthening alternative Sunni forces—not just Kurds. The Defense Department CIO has released an "implementation plan" to help codify its increased attention to fundamental cybersecurity practices in recent months. The DOD Cybersecurity Discipline Implementation Plan prioritizes identity authentication, reducing DOD networks' attack surface, device hardening and the alignment of computer network defenders with DOD IT systems and networks. Inspection reports from recent network intrusions have "revealed department-wide, systemic shortfalls in implementing basic cybersecurity requirements," the plan states. The document, which was amended in February and publicly released within the last week, goes hand-in-hand with a DOD cyber scorecard that grades various agencies' IT security and is reviewed monthly by Defense Secretary Ash Carter. Whereas the scorecard is a more strategic, bird's eye view for Carter, the new implementation plan targets compliance further down the chain of command. Commanders and supervisors at all levels will report their implementation progress through the Defense Readiness Reporting System. The initiative "forces awareness and accountability for these key tasks into the command chains and up to senior leadership, where resourcing decisions can be made to address compliance shortfalls," the plan states. I’m going to be doing a war game while I’m out here with some innovators to ask ourselves exactly that question: how do we respond to a hypothetical future situation? In this case a cyber attack. We need to be thinking, we need to be investing along those lines…. Obviously people will try to attack our systems because that’s one of our strengths, that’s why cyber security, including encryption, are so important to us. We’re equipping, we’re training but we’re also using cyber tools in Iraq and Syria to blackout the command and control networks of ISIL, to make them wonder and doubt their ability to coordinate their activities and so we will, I’m confident of this, take back the territory that ISIL now occupies. We, the Department of Defense, have and share with many companies and individuals a serious concern about data security because nothing works without our networks. That’s how we make ships, tanks, planes, soldiers all talk to one and other so we need good data security. Therefore we are on the side, as the whole government is, for strong encryption. He’s been taking a tour of Silicon Valley as another opportunity to win over techies to help his department innovate. We’re trying to work on problems that matter to human beings. People in the innovative community are difference makers so they’re looking to do things of consequence and if you talk to them about a problem like combating terrorism, or freedom of the seas, or data security, they like to work on things that really matter. Washington (CNN)The U.S. military is spending millions on an advanced implant that would allow a human brain to communicate directly with computers. If it succeeds, cyborgs will be a reality. The Pentagon's research arm, the Defense Advanced Research Projects Agency (DARPA), hopes the implant will allow humans to directly interface with computers, which could benefit people with aural and visual disabilities, such as veterans injured in combat. The goal of the proposed implant is to "open the channel between the human brain and modern electronics" according to DARPA's program manager, Phillip Alvelda. In January, DARPA announced it plans to spend up to $62 million on the project, which is part of its Neural Engineering System Design program. The implant would be small -- no larger than one cubic centimeter, or roughly the size of two stacked nickels -- according to DARPA. The implantable device aims to convert neurons in the brain into electronic signals and provide unprecedented "data-transfer bandwidth between the human brain and the digital world," according to a DARPA statement announcing the new project. DARPA sees the implant as providing a foundation for new therapies that could help people with deficits in sight or hearing by "feeding digital auditory or visual information into the brain." 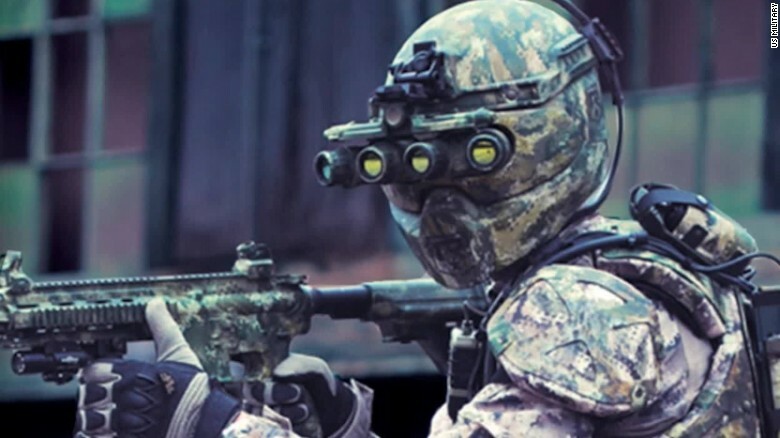 A spokesman for DARPA told CNN that the program is not intended for military applications. Between 2014 and 2015, hackers repeatedly broke into the U.S. Office of Personnel Management (OPM), stealing personal and biometric data for millions of federal employees. Several years earlier, Stuxnet wreaked havoc on centrifuges at the Natanz nuclear enrichment lab in Iran. Last year, numerous organizations and companies, including the New York Times, Twitter, Facebook, and the U.S. Army were victims of cyber attacks carried out by the Syrian Electronic Army. Each time, the perpetrators had slightly different modus operandi: China denied any involvement in the OPM attacks; current and former officials in the United States, acting under the condition of anonymity, acknowledged responsibility for Stuxnet; and the Syrian Electronic Army brazenly advertised complicityby branding compromised websites with their personal logo. Conversation pertaining to the inculcation of the mission command leadership philosophy since 2012, however, has been relatively directive. Whereas this top-down discourse presumes to account for the potential challenges facing Army leaders in the execution of mission command in the current operating environment, it fails to account for challenges that might adhere to the leadership philosophy itself. Put simply, the mission command leadership philosophy might represent a cause andeffect of the challenges Army leaders currently encounter, and are expected to confront in an increasingly complex world. The challenges facing leaders in the execution of mission command in the current operating environment seem to correspond to the leadership philosophy’s six guiding principles addressed below. These principles also underline the leader attributes and competencies that will be most stressed by instability. To substantiate this interrelationship, the remainder of this brief discussion unfolds in three parts. First, it conceptualizes the mission command guiding principles as challenges that threaten to frustrate the leadership philosophy in the first place. Next, it argues these challenges relate to leader attributes and competencies that will be most stressed by a volatile, uncertain, complex, and ambiguous world. These include intelligence, leadership, and achievement or mission accomplishment. The discussion concludes by providing a recommendation to redress challenges to mission command. The challenges facing leaders in the execution of mission command are part and parcel to the leadership philosophy’s six guiding principles. As a regionally engaged yet globally responsive force, U.S. Army leaders must first correctly interpret the security landscape to create shared understanding across their formations. It is unclear if company grade and junior field officers, who have been shaped by a lethal – “hard” – approach to counterinsurgency in Iraq and Afghanistan, understand that the international security environment is weighted towards human security or the protection of people and the communities they live in. Unfortunately, the “do more with less” cliché has broadened the U.S. Army’s perception of what it ought to do versus what it can or even should do on the basis of vital and important national security interests. In the Asia-Pacific, for instance, planners are confronted with innumerable threats and vulnerabilities and assume the U.S. Army can resolve all of them. This assumption jeopardizes a leader’s ability to provide a clear commander’s intent regarding readiness and mission. At the same time, a centralization of resources and attendant reduction in force stand to encourage micromanagement and a zero-defect organizational culture that dis-incentivizes leaders from exercising disciplined initiative, using mission orders, and accepting prudent risk. When combined, these challenges undermine the ability of leaders to build cohesive teams through mutual trust. This explanation is important for the purpose of identifying desired leader attributes and competencies most stressed under the current Army operating environment. The challenges canvassed above appear to relate best to one leader attribute and two leader competencies. The intellect attribute is foundational to creating shared understanding. As the military theorist par excellence Car von Clausewitz intoned, “the most far-reaching act of judgement that the statesmen and commander have to make is to establish…the kind of war on which they are embarking.” Of the sixdesired leader attributes identified by the Military Education Coordination Council commissioned by Dempsey in October 2012, two relate to intellect: “understand the environment and the effect of all instruments of national power” and “think critically and strategically in applying joint warfighting principles and concepts of joint operations.” While the leadership competency is compulsory to building cohesive teams through mutual trust, providing a clear commander’s intent, and using mission orders, the mission accomplishment competency is best fostered by underwriting risk and encouraging disciplined initiative. Of course, all leader attributes and competencies facilitate the mission command leadership philosophy. Yet, since they most clearly associate with the challenges facing leaders in the execution of this leadership philosophy, intellect, leadership, and mission accomplishment will best enable leaders to blend the art of command with the science of control. They will ensure leaders can effectively understand, visualize, describe, direct, lead, and assess. What this discussion suggests is that U.S. Army senior leaders can help redress challenges to the integration of a mission command leadership philosophy by continuing to emphasize leader development. A recent Military Review articleentitled, “Back to the Future: Managing Training to ‘Win in a Complex World,’” also argues “the answer lies in the conduct of leader development, through which senior leaders can engender agile and adaptive leaders.” Because the Army Leader Development Strategy is designed to govern the “ends, ways, and means for developing leaders of all cohorts that exercise Mission Command,” leaders should frame development against the domains (institutional, operational, and self-development) and lines-of-effort (training, education, and experience) identified by this accessible document. Paul Lushenko is a Major in the US Army. He is currently attending the College of Naval Command and Staff at the U.S. Naval College in Newport, Rhode Island. He is a 2005 distinguished honor graduate of the U.S. Military Academy and holds an M.A. in International Relations and a Master of Diplomacy from the Australian National University, both conferred with highest honors. He has deployed several times to Iraq and Afghanistan with Stryker and Special Operations Forces. (A controversial proposal that aims to end the military's "up-or-out" rules for officer promotions remains a source of debate and disagreement among the Pentagon’s top leaders. The proposal to reform the federal laws that regulate officer careers was central to Defense Secretary Ash Carter’s slate of personnel reforms — he called it "Force of the Future" — outlined last year. But the military’s top four-star officers balked and the matter remains under review. “It is still in the deliberative process. Let me just say it’s been a fulsome debate,” Deputy Defense Secretary Robert Work told Military Times in a recent interview. Changing the 1980 law known as the Defense Officer Personal Management Act, or DOPMA, could fundamentally redefine the officer corps’ career tracks, where promotions are mainly based on seniority rather than demonstrated talents and skills. The initiative could apply to the military's enlisted force as well, but that would not require congressional action to change federal law. 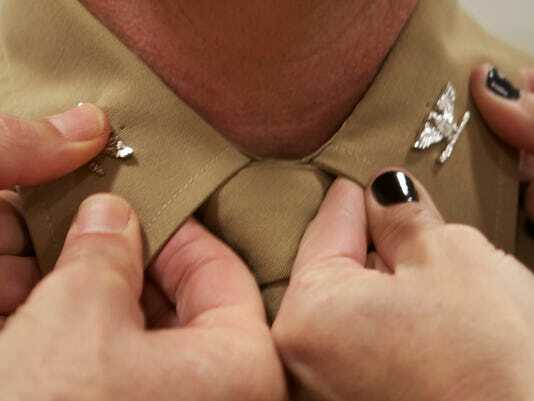 The individual services have the authority to adjust enlisted manpower policies as needed to shape size and makeup. “It’s gone to a tank and so everyone knows about it and the chiefs have been able to weigh in,” Work said. “Once we have it all buttoned up and we’ve addressed all the concerns … that is when we announce” a final reform proposal. Last year Carter called for sweeping change to the military personnel system, in some ways mirroring the private sector. He said today’s rigid military career tracks may be discouraging some of the nation's best and brightest young people from pursuing a military career. Specifically, the reforms could change or end the “time in grade” requirements that standardize today's’ military career tracks. That would allow the most talented officers to move up the ranks more quickly. Reforms could also revise or eliminate the cap on the number of times an officer can be passed over for promotion before being forced to leave service (typically two times for most officers). Removing those up-or-out caps could encourage officers to pursue nontraditional assignments or develop technical expertise without fear that their career progression will suffer.